With experienced Arizona podiatrists on staff, we are able to offer a wide range of podiatric services in Surprise. We specialize in heel pain, nerve problems, diabetic feet, injuries, deformities, skin and toenail problems, children’s feet, and unsteady gait. Painful foot, ankle, and lower leg conditions can make it difficult to say “yes” to adventure—or even complete day-to-day activities. Fortunately, there's help. Skilled foot, ankle and lower leg-care specialists. 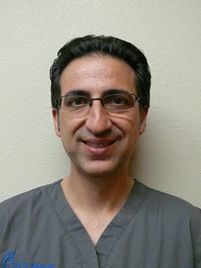 Dr. Peyman Elison and Dr. Viedra Elison have been in private practice in the Surprise area since 2002. A warm and caring staff. 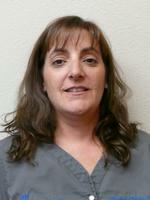 Every member of our team is committed to making patients feel like a member of our foot care family. A relaxed and comfortable atmosphere. Feel welcome and at ease when you visit our Surprise area podiatry clinic. Respectful, ethical and compassionate treatment. At Fixing Feet Institute, we treat you the way we'd want to be treated. Peace of mind. Our knowledgeable and kind doctors understand what you're going through and are committed to helping ease your pain. Foot, ankle, and lower leg disorders can be debilitating, but you don't have to suffer in silence. Find out how Fixing Feet Institute can help you! Your feet, ankles and legs support your body and carry you through your daily activities. Therefore it's very important to address any pain or discomfort that prevents you from having an active lifestyle. Whether you have heel pain, nerve pain, an injury or toenail issues, Fixing Feet Institute in Surprise, Arizona knows how to get you back on your feet again. Fixing Feet Institute, founded by Dr. Peyman Elison and Dr. Viedra Elison, are highly experienced and professional Arizona podiatrists who each specialize in specific foot, ankle, and lower leg conditions. You'll have peace of mind knowing that you'll see a great doctor who understands exactly what you're going through and how to ease your pain.